Send Season's Greetings with this wonderful Christmas gift. 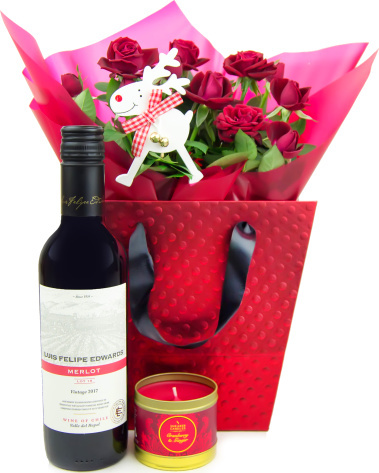 The recipient can enjoy the soothing smell of the scented candle while sipping on the rich Merlot. The rose plant is packaged in a festive bag for the perfect presentation and a gift that will keep on giving. Red Rose plant in festive gift bag.